Residential property as a driving force for the region’s economic growth was the key topic at this year’s discussion. “Real estate is the backbone of the European economy, while residential real estate forms the biggest part of the market. 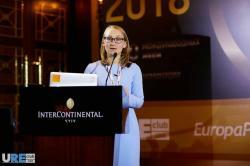 We believe that Ukraine has a huge potential for development, and soon enough, our region will be attracting big foreign investors”, said Olga Solovey, CEO at URE Club and this year’s event moderator, in her opening speech. The first Forum section was focused on Ukraine’s investment attractiveness and started with the speech given by Tatiana Korotka, Deputy Business Ombudsman. According to Natalia Zaderey, head of financial stability department at the National Bank of Ukraine, the research conducted by the National Bank shows that Ukraine has a good investment environment, based on the analysis of real estate prices and rental rates dynamics. “At the moment, there is no financial bubble in our region that negatively affects the real estate market. Our situation is exactly the opposite”, the expert commented. 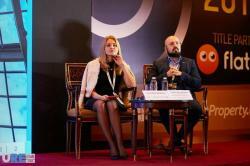 Next speakers were Elena Dmitrieva from Globus Bank supervisory board and Yuriy Khapko, senior partner at TOTUM Law Firm, who focused on a newly-adopted strategic and environmental assessment law requiring developers to submit project documentation for public hearings. In addition, Mr. Khapko told that starting from 1 January 2019, urban-planning feasibility evaluation will be cancelled, which will significantly influence all projects in historical areas and the real estate market in general. The section ended up with the panel discussion featuring Elena Shulyak, head of construction department at BRDO; Oleksiy Chernyshov, founder at VI2 Partners; and Nick Cotton, managing director at Cushman & Wakefield Ukraine. When responding to questions about specific factors investors are paying attention to, Oleksiy Chernyshov noted that Ukraine’s geopolitical situation and the lack of capital significantly affect the real estate market: “We have a lot of high-quality projects attractive to investors, and our Forum attendees are the perfect example. However, we need to regain investors’ trust in our country and our economy. 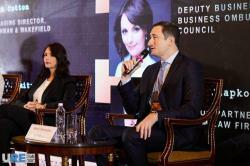 That’s when foreign partners will start investing in Ukraine’s property development industry”. The second Forum section was focused on the legal aspects of the Eastern region, as well as investment attractiveness of Ukraine’s and Europe’s regions. Natalia Kochergina, partner at Dla Piper Ukraine, spoke about the major legal models for investing in Ukraine; Lika Kardava (managing partner at Property Georgia) and Irakly Kilauridze (managing director at Colliers Georgia) gave their insights on Georgia’s real estate market and benefits for investors. 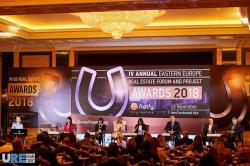 Vitaliy Melnik, partner and vice-president at UTG, spoke about the current trends in Europe’s real estate market. He noted that the modern construction businesses should stand up to environmental friendliness, energy saving, and urban development. Iryna Skorokhodova, vice-president at Alfa-Bank Ukraine, spoke about the successful investment property sales. 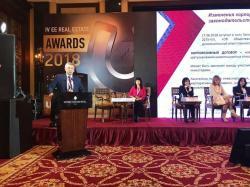 The attendees were especially impressed by Andrey Artyushenko’s (Artyushenko and Partners) speech, who shared the positive experience of Kazakhstan’s real estate market. “Certain changes in the country had a positive impact on the construction industry. State commissions were completely banned. Therefore, in order to put a project into operation, no matter how complex it is, you need to get signatures only from 4 parties: the customer, the contractor, the on-site designer supervision and technical supervision companies”, told Mr Artyushenko. Volodymyr Mysak (Cushman & Wakefield Ukraine), who moderated the third section, opened the block of regional investment projects presentations. Reports were presented by Oleksandr Kolomoyets, Director at Dnipropetrovsk Regional State Administration Investment and Innovation Center (Dnipro); Sergiy Popovich, Kyiv Investment Agency (Kyiv); Yuri Kuznetsov, Director General at Ecotec Development (Odessa); Igor Balaka, Director General at KRONA Production and Law Firm (Kharkiv); Grygoriy Khodyn, chief architect in Kherson Region; and Volodymyr Khmurych (Bila Tserkva Industrial Park). The section was followed by the panel discussion moderated by Andrey Mima, co-founder at LUN and Flatfy. According to Andrey, in 2019, urbanization and digitalization will become the main trends in real estate. Forum attendees had the opportunity to see the newest digital technologies allowing to get a detailed view of real estate sites in online mode. Andrey Vavrysh (СEO SAGA Development) noted that property development will continue evolving towards high-quality architectural design and meeting the demands of customers. Vitaly Boyko (СEO NAI Ukraine) and Arie Schwartz (partner and CEO at Seven Hills International Development) closed the section with their speeches. 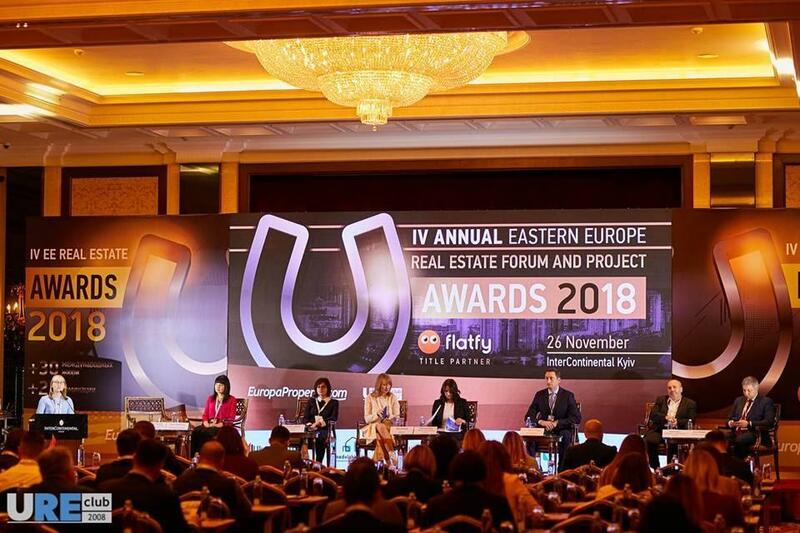 Ukraine’s tense political situation, which is currently the most significant risk-increasing factor for property development and investment projects, was another pressing issue discussed during the Forum. On the very same day the Forum was held, Ukraine’s Parliament met and voted to impose martial law in 10 Ukrainian regions. The participants discussed the current situation, shared their opinions and tried to assess all possible risks the industry might face. The experts concluded that businesses were aware of all possible consequences this situation could result in. It is expected that with martial law being imposed, investors will temporarily postpone their plans. However, according to property developers’ representatives, they will continue working on the projects they have already launched. They are not going to shut down construction and will continue working on all current projects. The attendees agreed that this situation will only influence transactions in the discussion and projects that have not yet been launched. 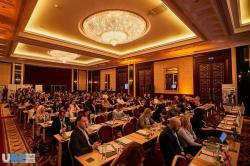 This year, Flatfy global real estate platform has become the Forum’s title partner. 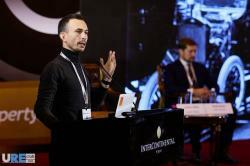 By tradition, media support was provided by numerous partners, including 112.ua, Property Times, Business Ukraine magazine, Pershyi Dilovyi (First Business) Channel, American Chamber of Commerce in Ukraine, AllRetail.ua, AzerNews Newspaper, ZIK TV channel, Belretail.by, Caucasus Business Week - CBW, DCH, DENGI.ua, Delovaya Stolitsa, Economy Today, Finance.ua, LuckyUkraine, minfin.com.ua, My-Kiev, NOI.md, Novoe Vremya, RBK-Ukraine, UBR.ua, Leadership Journey, 100realty.ua, Build Portal, Liga. Net, Kyiv Post, Korrespondent magazine.